A panel of judges in federal 9th U.S. Circuit Court of Appeals has sided with a group of ex-NFL players who filed lawsuit against EA for the use of their likenesses in the Madden NFL franchise. 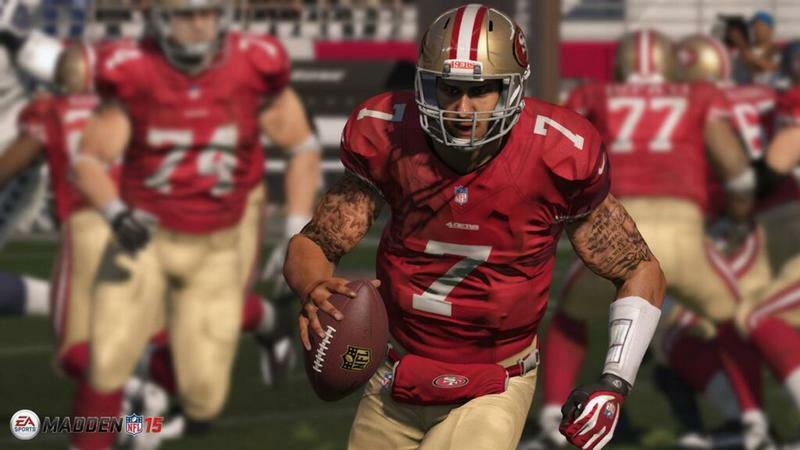 The lawsuit was filed back in 2010, and EA had tried to get it thrown out claiming First Amendment rights as grounds to use the athletes faces and names within their games. However, the panel of judges disagreed, and the lawsuit will be allowed to move forward into the trial stage. Circuit Judge Raymond Fisher writes in his opinion on the case: "We hold EA's use of the former players' likenesses is not incidental because it is central to EA's main commercial purpose — to create a realistic virtual simulation of football games involving current and former NFL teams." Recently, the video game industry has come under similar lawsuits from other public figures upset about their usage in games. Activision successfully defended itself from a lawsuit from Ex-Panamanian dictator Manuel Noriega for the use of his likeness in Call of Duty: Black Ops 2, and Rockstar finds itself embroiled in a lawsuit from Hollywood starlet Lindsay Lohan over the alleged use of her likeness in Grand Theft Auto V.
What sets this NFL lawsuit apart in these judge's eyes is that the entire idea of Madden NFL is to recreate the realistic football experience, and using actual athlete's likenesses is central to this and the money it makes. Treyarch did not set out to make a game that centrally starred Noriega. He just happened to show up in the conflict because of his notorious history. As for Lohan's case, Rockstar didn't even use her likeness, and that lawsuit is just stupid. But if they did, again, it is not central to the experience and falls under satire of her lifestyle. EA profited from the actual names and faces of real-world people in its game without permission or reimbursement, and that's why this lawsuit holds ground. As it stands, EA and the NFL Players Association has an agreement to license around 2,000 players' likenesses, those filing suit are outside of these agreements. It follows suit with last year's similar football lawsuit, which ended with EA and the NCAA having to pay out $40 million to college students who popped up in the NCAA Football series. The only difference there is that the franchise was killed off afterwards. Something tells me that EA isn't going to put a stop to Madden NFL anytime soon. However, it will be a lot more careful with is rosters.